Here is a lovely Christmas Wishes e-card to send to your daughter-in-law and wish her Merry Christmas. The images of Christmas decoration lights and gifts and Christmas trees give us the joy of Christmas. 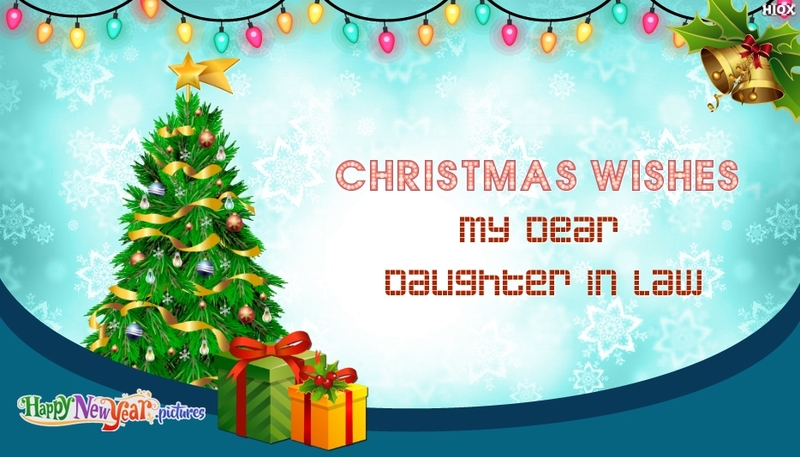 Send this "Christmas Wishes My Dear Daughter In Law" and express your love and care for her. Merry Christmas and Happy New Year.